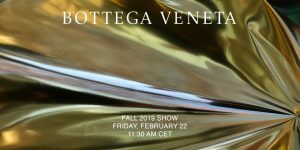 As the 2019 edition of the annual Geneva watch fair comes to an end, we take a closer look at the emerging trends of the year. It’s high time that the watchmaking industry went back to doing what it does best: finding creative and modern solutions to age-old technical conundrums. The industry has been relatively quiet in recent years, but it was clearly the calm before the storm. At the 2019 Salon International de la Haute Horlogerie, we were inundated with a range of haute horlogerie complications as well as innovative advances. Case in point: Vacheron Constantin's Traditionnelle Twin Beat that offers 65 days of power reserve thanks to an innovative dual frequency system, and a magnum opus by Jaeger-LeCoultre, the Master Grande Tradition Gyrotourbillon Westminster Perpétuel. 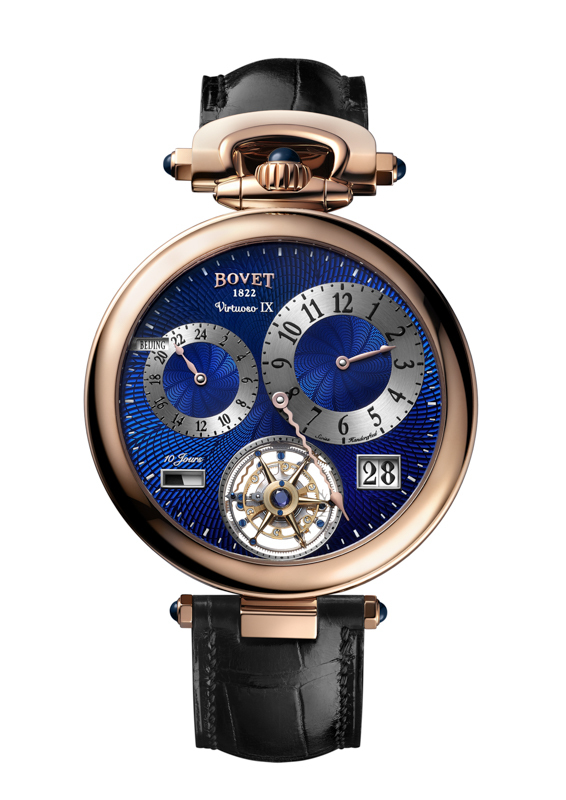 The Bovet Virtuoso IX doubles as a pocket watch, thanks to its convertible case. Featuring a double time zone, a big date indication and a flying tourbillon, the timepiece further impresses with its 10-day power reserve and good looks. Bridging the gap between a smartwatch and a mechanical watch is the Ressence Type 2 e-Crown, whereby an electronic system is integrated within the watch. It can be connected to your phone, where you can set the time. You can also “wake up” the watch by simply tapping on the sapphire crystal display. Fun! 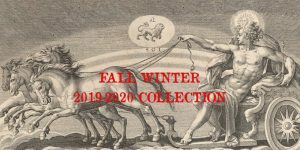 Setting a perpetual calendar whenever the power reserve runs out is no fun: Vacheron Constantin has come up with an innovative solution to the problem, as it offers 65 days of autonomy in the Traditionnelle Twin Beat. The secret lays a dual frequency system that can be activated when you set the watch down. The succinct name of the Christophe Claret Angelico belies the number of complications within: a tourbillon with a détente escapement and fuse-and-chain mechanism, a two time zone display, and jumping hours. OK, uttering the nomenclature of Jaeger-LeCoultre’s newest magnum opus warrants a deep breath: Master Grande Tradition Gyrotourbillon Westminster Perpétuel. In the tradition of a grand complication, it houses the brand’s signature Gyrotourbillon, a perpetual calendar, as well as a minute repeater that belts out the chimes of the Big Ben. Blue is the new neutral of the horological world: just take a gander at this year’s launches. The thing with blue is that it’s not terribly trendy, but it can successfully straddle that thin line between classic and modern. It’s versatile as well, subdued enough for a work watch, snazzy enough for a dress one, and playful enough for the weekend. What more can we want? 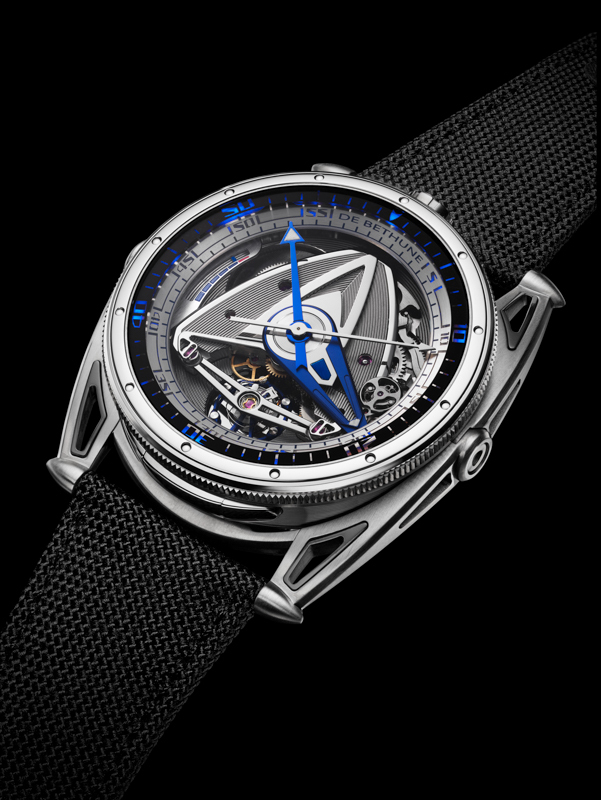 De Bethune’s first-ever sports watch, the DB28GS Grand Bleu might be sporty in specs, but elegant in demeanour. It has been built to be waterproof to 100m, and features a mechanical lighting system helpful for any kind of weather. As its name suggests, the Grand Bleu is generously lavished with metallic blue accents. The midnight blue dial of IWC Schaffhausen’s Le Petit Prince timepieces has become emblematic of the collection, an aesthetic distinguishing factor and perhaps an allegorical nod to the protagonist of the story. The Pilot’s Constant Force Tourbillon Le Petit Prince marks the first time that the constant force tourbillon has been used in this collection. A. Lange & Söhne celebrates the 25th anniversary of its comeback model, the Lange 1, with a re-edition of the timepiece. Fashioned in white gold, the argente dial is punctuated by accents of blue on indications, hands, and even the logo. The timepiece is limited to 250 versions. Girard-Perregaux’s Laureato collection gets an urban update with the Absolute line, which includes three new timepieces. Wrought in black PVD-treated titanium, the 44mm timepieces all make an audacious statement with their gradient blue dials. The blue-green dial of the Panerai Submersible Chrono Guillaume Néry edition reminds us of the colour of the sea. But what makes this timepiece even more special is that it is limited to 15 pieces, and the buyer of each watch will have the opportunity to dive in French Polynesia with record-breaking free diver Néry himelf. The increased demand for individualism has resulted in the watchmaking industry’s response to this trend: bronze. It develops a natural patina over time, making for a unique finish that can’t be recreated. Collectors are going bonkers for bronze, as evinced by the influx of such watches on the market. 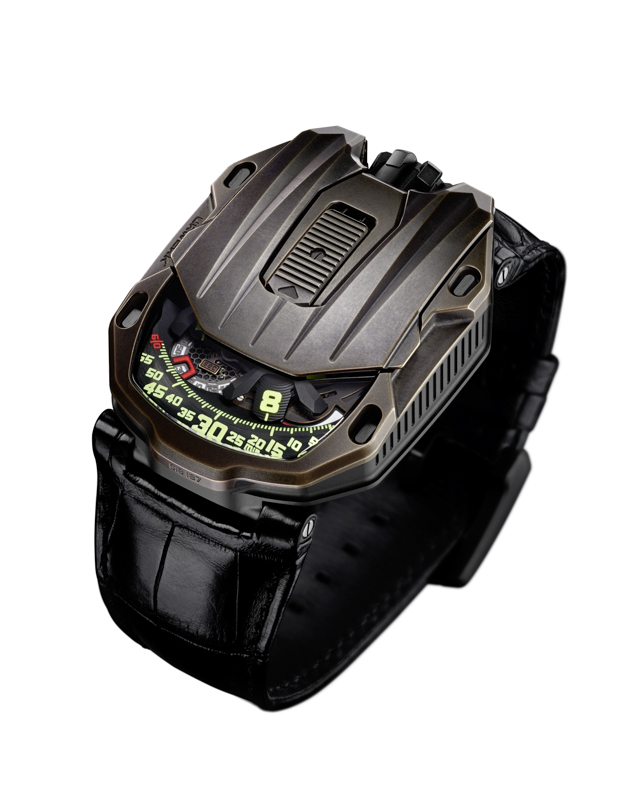 Resembling an armour, the Urwerk UR-105 Maverick presents the watchmaker’s signature wandering-hours satellite complication on an openworked carousel, this time fashioned in bronze. Inspired by the world of mountain exploration, the Montblanc 1858 collection is now wrought in bronze with a green dial, reinforcing the adventurous spirit of the timepiece. The case back features an engraving the Mont Blanc, and the Arabic numerals are coated with Superluminova. Apart from the tourbillon, the moonphase is probably the only other function that you can’t go wrong with, aesthetically speaking. Sure, it’s pretty cool that your watch can track the waning and waxing of the moon, but it’s more than just its technical aspect that has captured our imagination. A moonphase is poetic and whimsical, and each watchmaker has its own unique take on the complication. 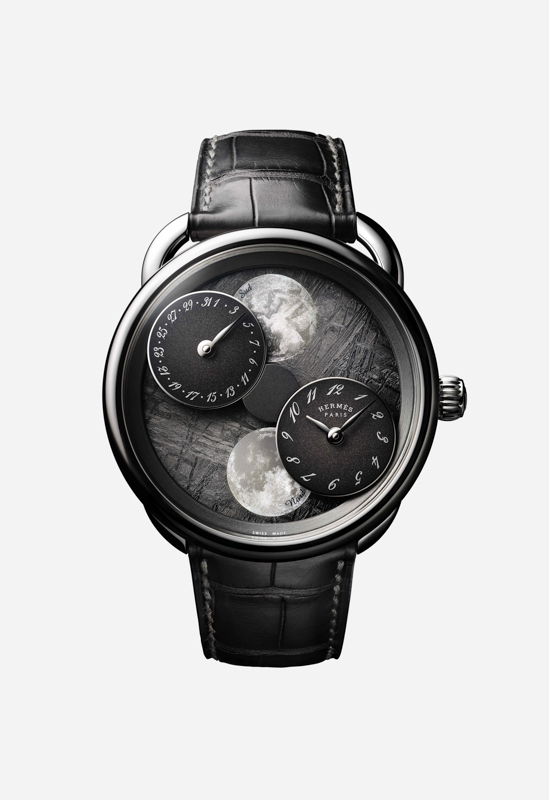 Hermès reworks the moonphase with L’Heure de la Lune, whereby the two craters are stationary, with two sub-counters rotating around the dial to indicate the phase of the moon. It comes with a meteorite or aventurine dial. The elegance of Parmigiani Fleurier’s timepieces is tempered only by the awe-inspiring mechanics within, and the Toric QP Rétrograde is no different. Featuring a retrograde perpetual calendar—meaning that the date hand snaps back to 1 when it reaches 30 or 31—the timepiece is also endowed with a precision moonphase indicator that showcases the moon in both the northern and southern hemispheres. An increasing number of brands are rejecting labels, and creating unisex timepieces in sizes that are wearable by both genders. Overtly masculine or feminine codes are being rejected for a more gender-neutral aesthetic, as seen on the 42mm timepieces within Audemars Piguet’s newest Code 11.59 collection. 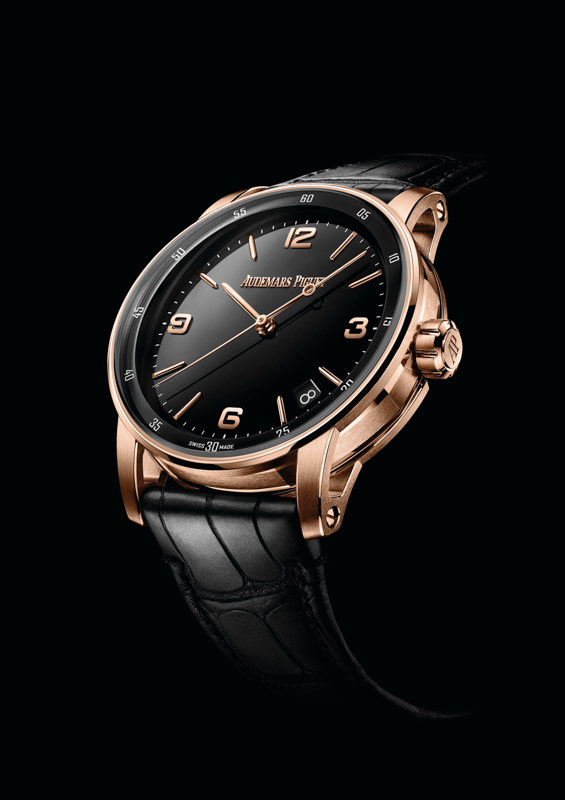 Audemars Piguet has launched an entirely new collection after 47 years, and as expected, opinions are highly divided. But to be honest, what we love is that it comes in a pleasant, wearable 42mm size, and defies gender labelling. Measuring 40mm in case diameter, the Hermès Arceau 78 is an instant classic, with its grained anthracite dial, signature slanted Arabic numerals, and beadblasted stainless steel bezel.